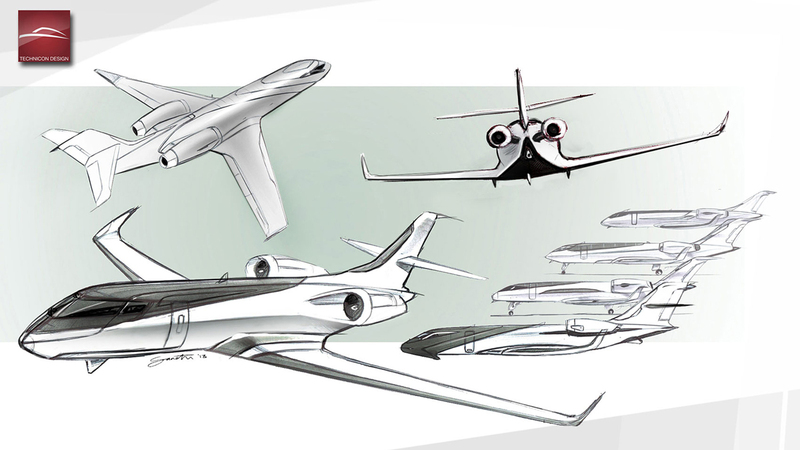 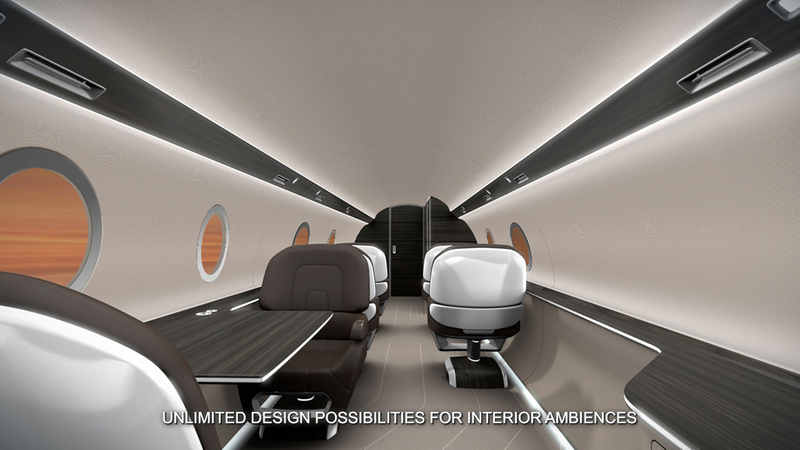 International agency Technicon Design has created a concept for a private jet that replaces windows with screens that can display the external environment inside the cabin. 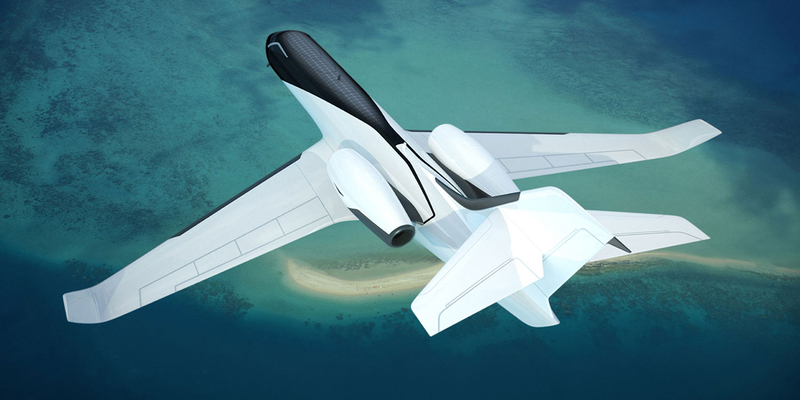 “The ethos of the project is simple, to challenge current thinking, and propose something a little different, but not just a fantasy,” said Technicon design director Gareth Davies. 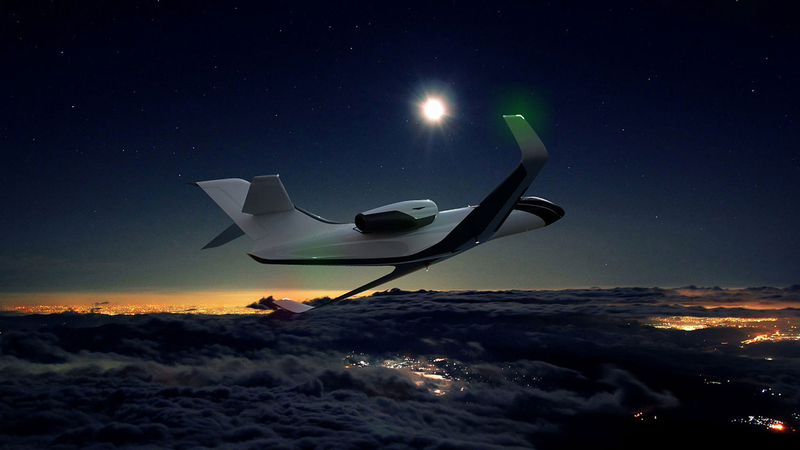 “It has to be credible and relevant, yet provoke discussion. 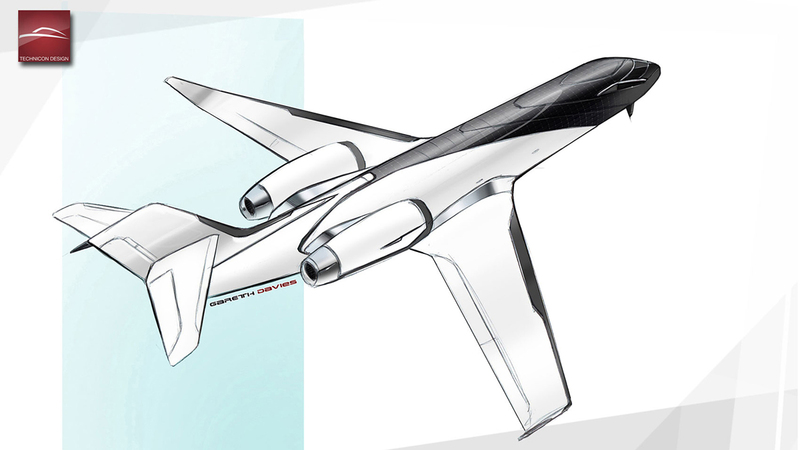 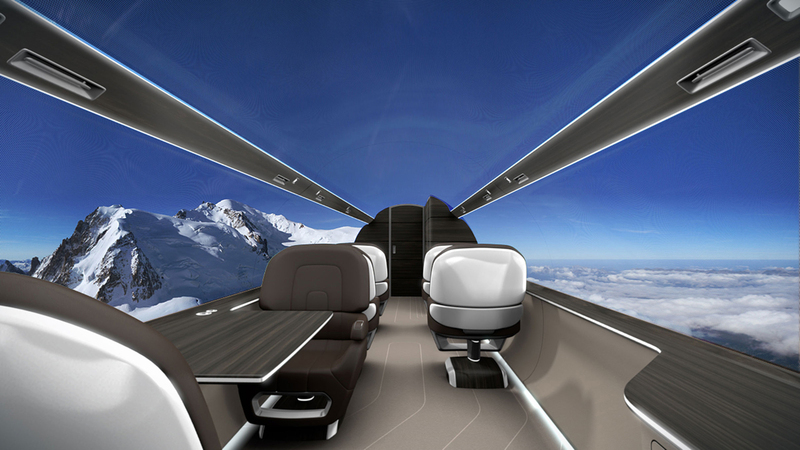 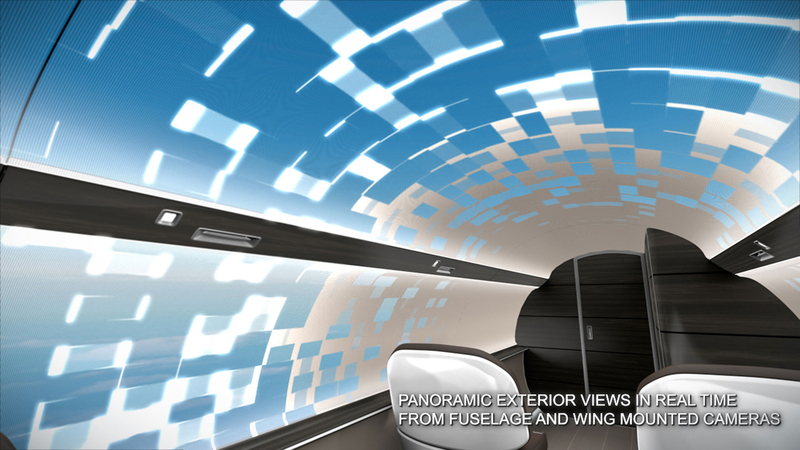 We quickly settled on the controversial yet interesting idea of removing the windows from the cabin and using existing or very near future technology to display the exterior environment to the inside surfaces of the cabin via external cameras.” Cameras on the plane’s fuselage – the main body – and wings would capture the surrounding views, which would be projected onto high-resolution screens on the sides and ceiling in the cabin. 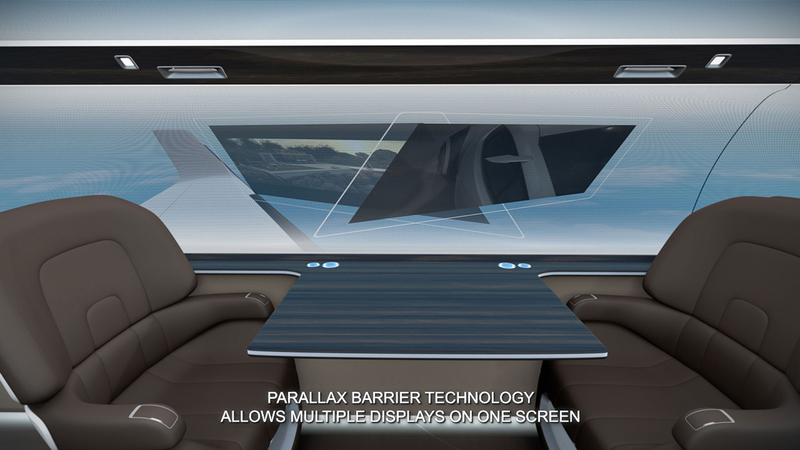 The low-voltage display would be powered by solar panels integrated into the roof. 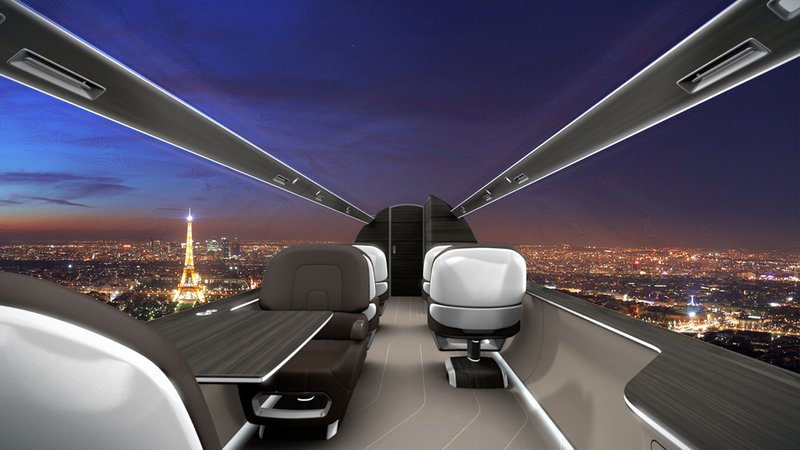 Removing the windows would reduce the weight of the plane, making it more fuel efficient, simplify construction and allow greater flexibility for interior layouts. 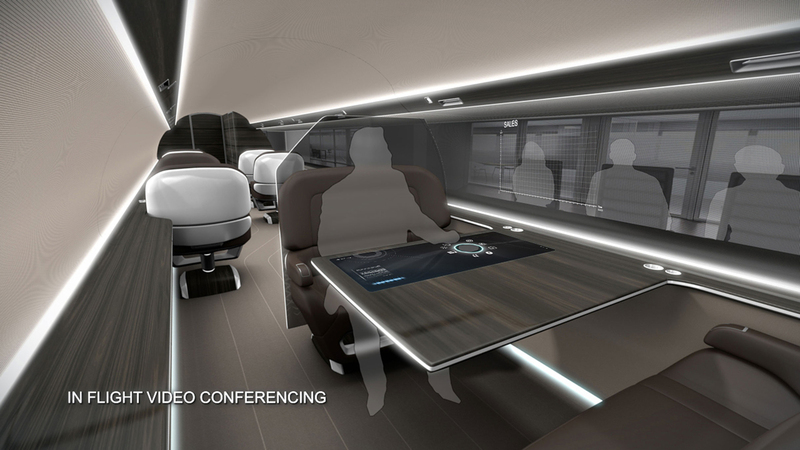 Passengers would sit in armchairs and bench seats facing two directions, some with tables in between. 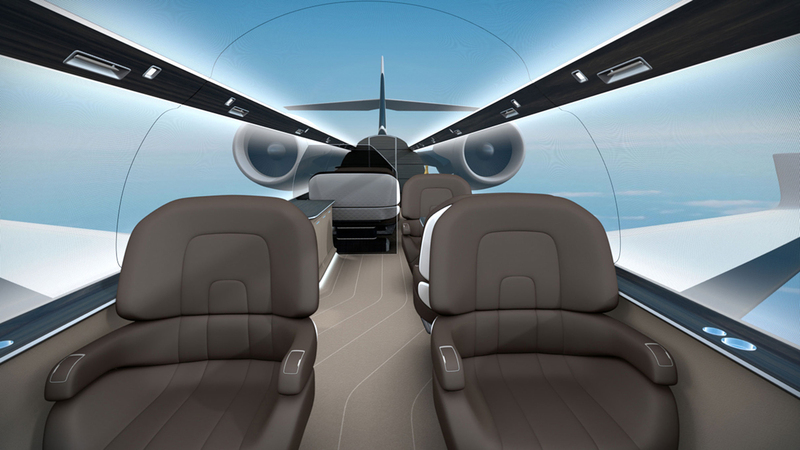 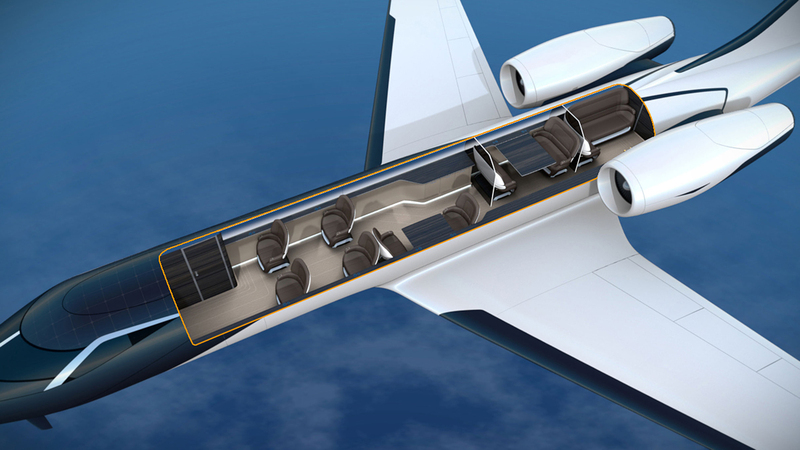 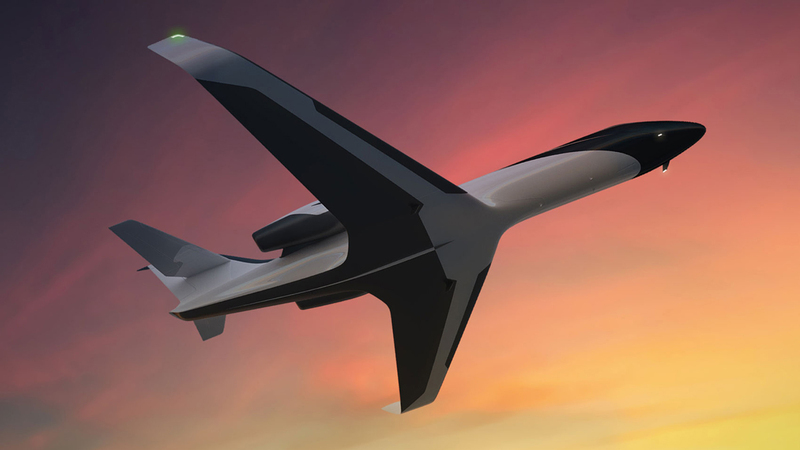 Air conditioning and lighting would be provided by strips along the jet’s body, breaking up the screens into three panels. 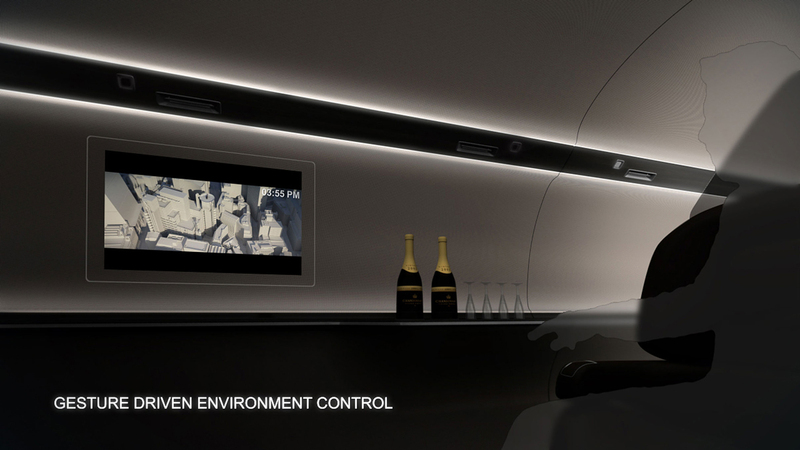 Any imagery could be projected onto the displays to create different moods in the cabin, including a traditional plane interior if desired. 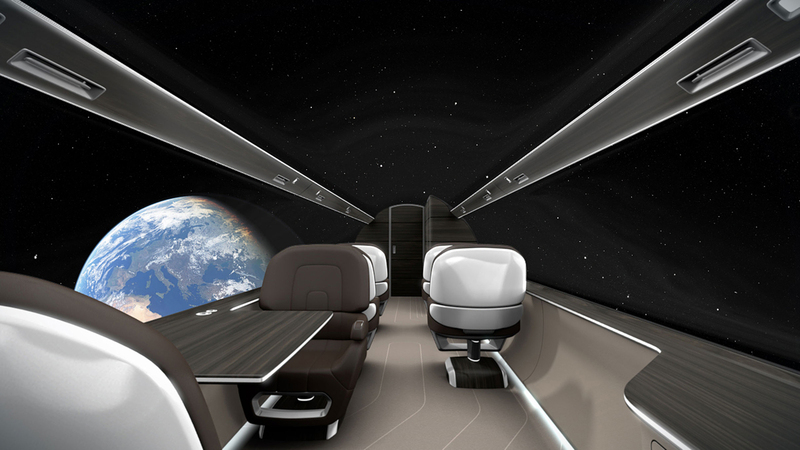 “The user experience is greatly enhanced by directly engaging the passengers with the environment outside, to the point of exhilaration by giving an unhindered panoramic view from the inside,” said Davies.